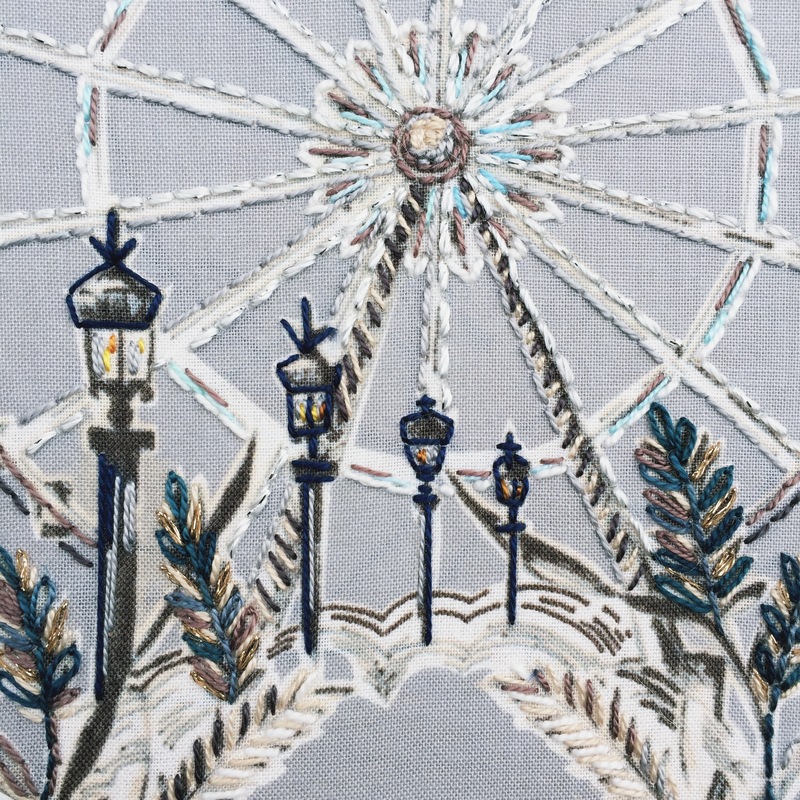 A long, long time ago….well, back in September, Jennifer Sampou sent me a gorgeous selection of her brand-new, not-yet-released, fabric-line-from-Robert-Kaufman, Black & White 2. I was so excited to have the chance to play with these muted palette fabrics…a departure from my typical saturated in color hoops! 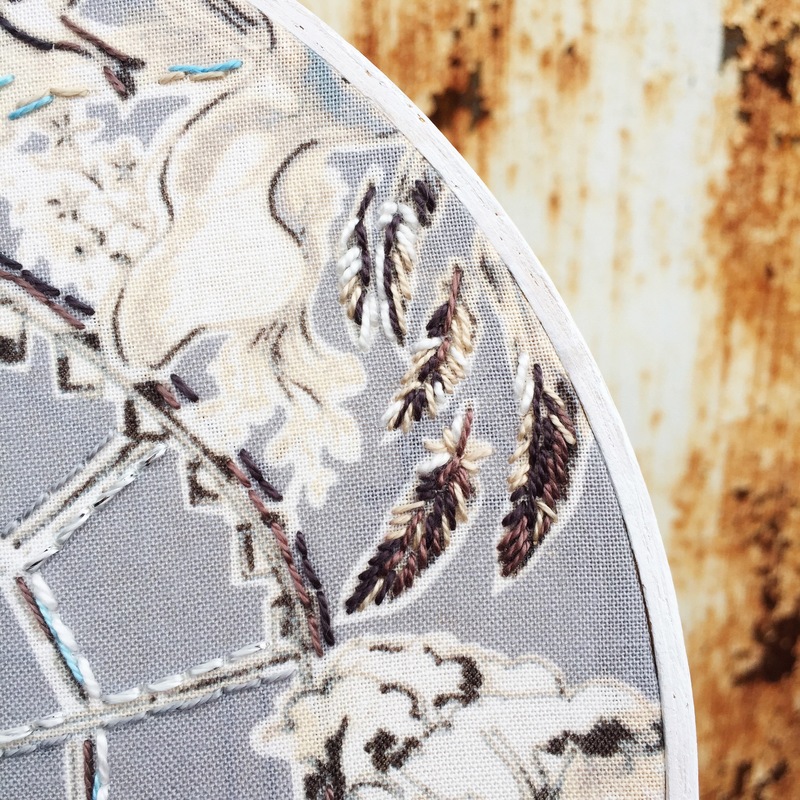 I could have added additional colors to these fabrics when I began to stitch them, but I decided to stay true to the color palette of the fabrics and chose to stitch in colors of silver, grey, black, white, pale blue, and even flecks of copper and metallic. 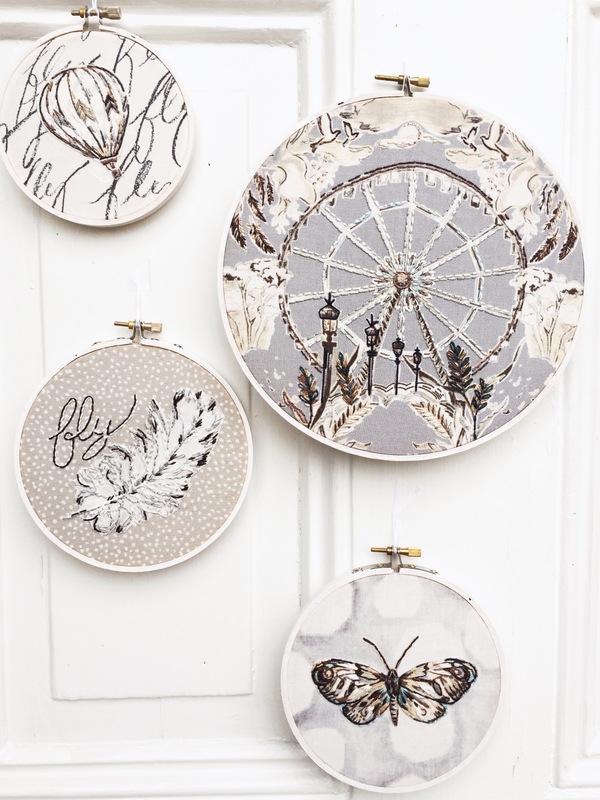 I love that Jennifer hand drew these designs in charcoal, pencil, chalk and pen and I think the simple stitches highlight her designs. 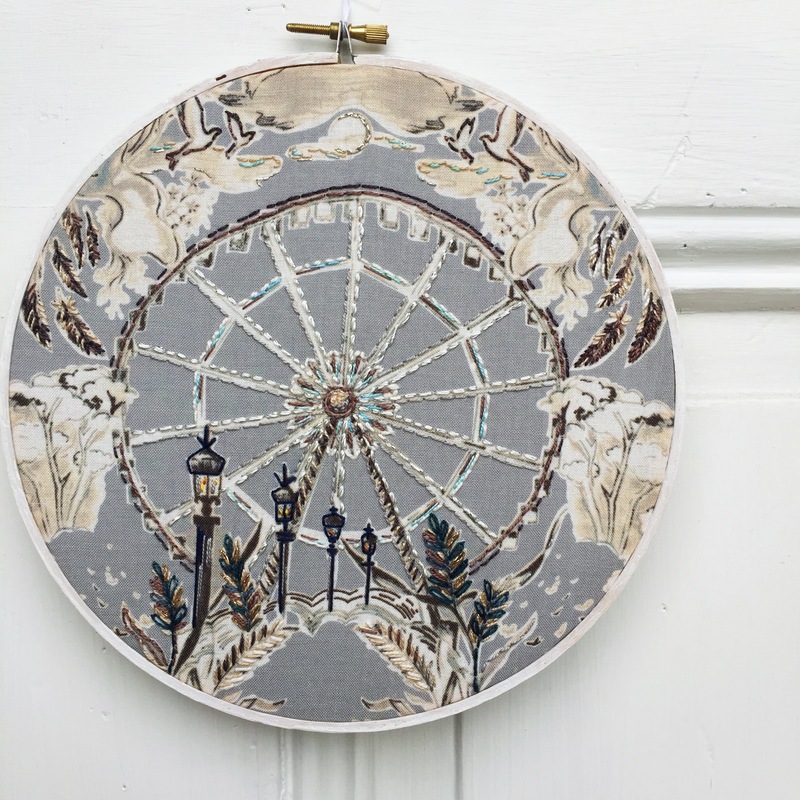 I have to say that my favorite piece in this collection is the modern toile design and from that, I chose to highlight the beautiful ferris wheel and feather border. Those flickering little gas lamps! I love hot air balloons! I thought it was fun to add this motif to the “fly” script background fabric from this collection. A beautiful moth with some added blue. The blue goes so well with the grey and copper in this collection. 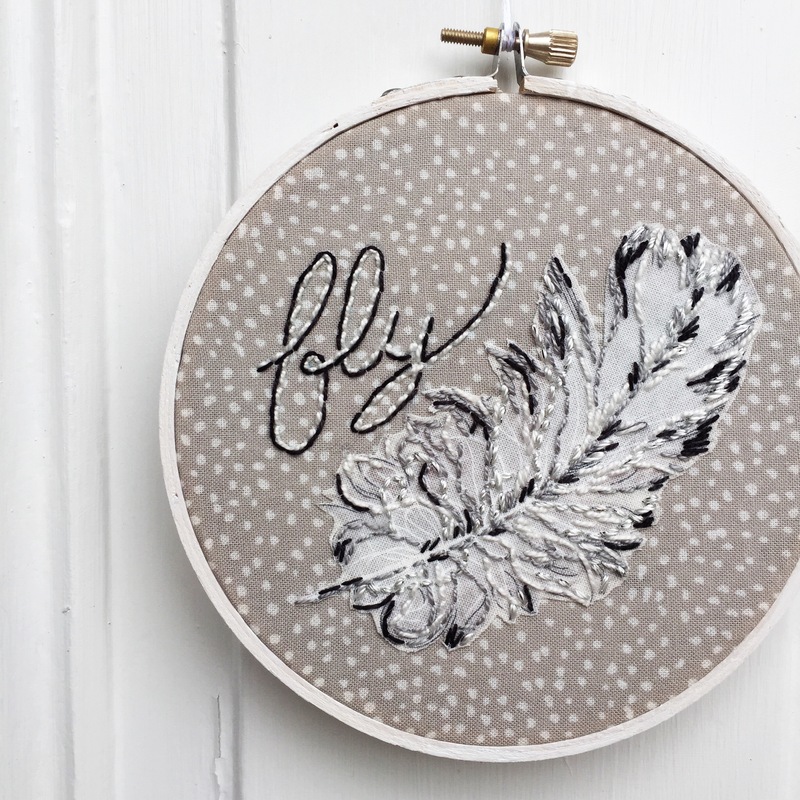 You know how much I love to stitch feathers, so I was excited to see that this new collection included a feather pattern, just like the original Black and White collection did! And here are the four hoops, all together! I loved the challenge of staying with a neutral palette, but I also want to stitch these and add more color! Stay tuned…it’s a project on my always-growing, never-finished, to-do list! Happy stitching and check back in on Sunday for the next #BohoSAL update! 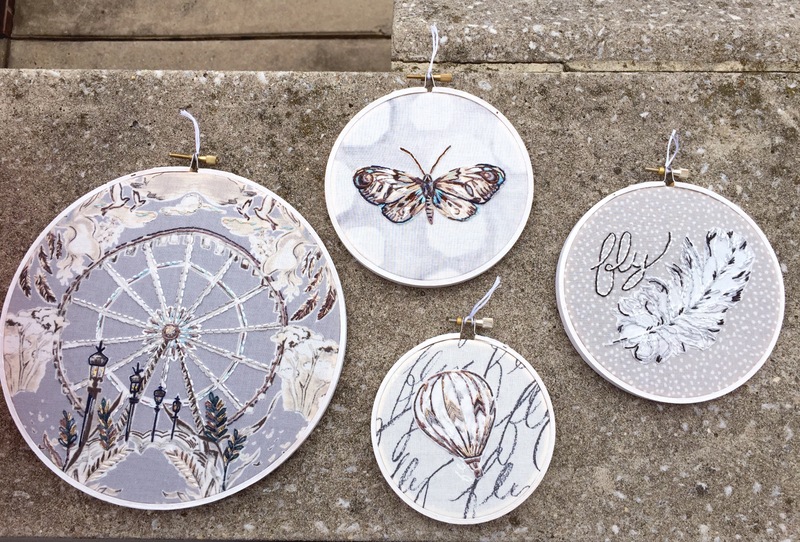 Weird question…Do you usually leave the fabric in the hoops for art pieces or do you take them out and use them for something else? That’s a great question! 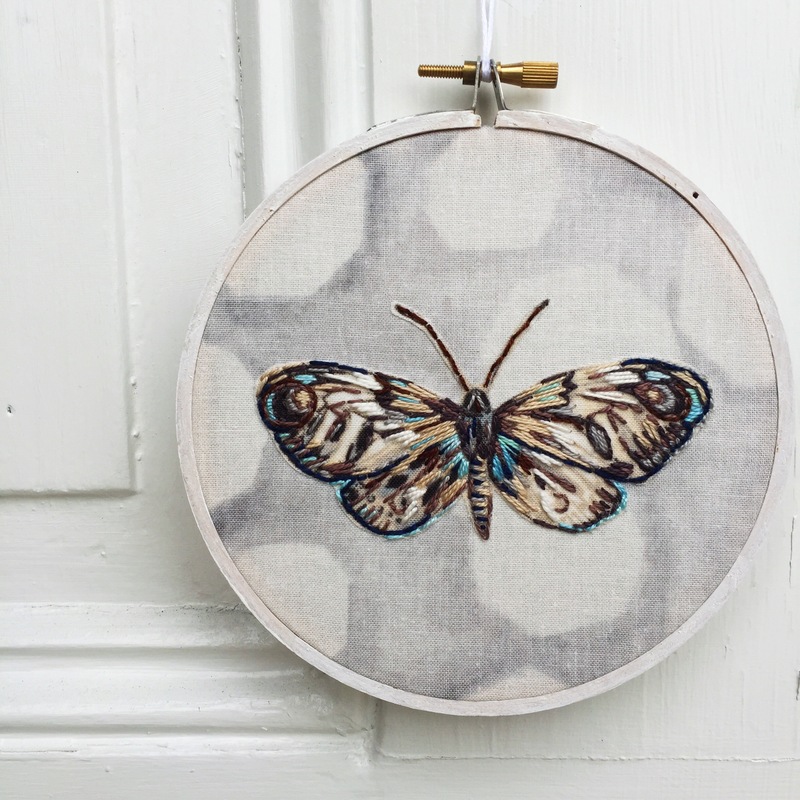 Typically, if I am creating hoop art, the fabric stays in the hoop that I stitch it in. 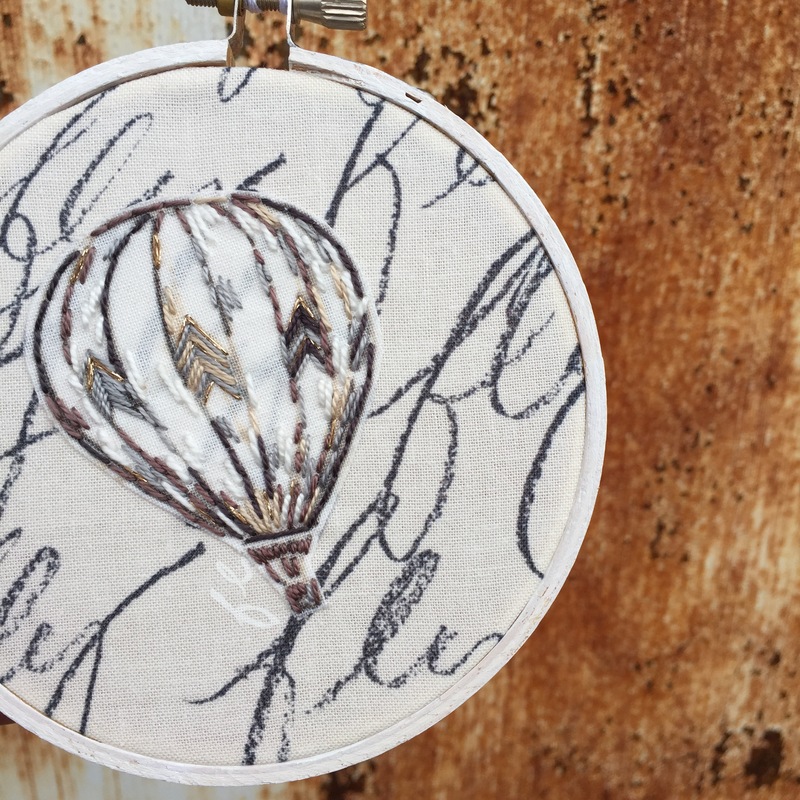 If I am stitching something larger, or a different shape, then I can take them out of the hoop and use them for whatever else I intend them for. Thanks so much for following along!